Canadian wheat exports to Italy are still low due to the use of glyphosate. Italy, the country that chose this ban on chemicals in the European Union, did not return to its position, Radio-Canada reported. 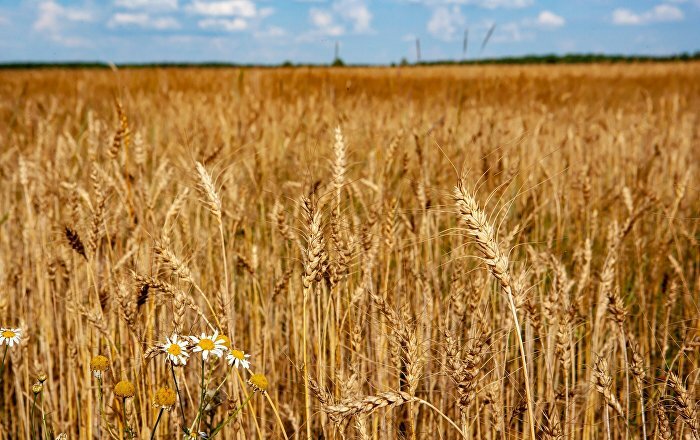 Italy, one of Canada's two biggest wheat buyers, stopped ordering in large quantities after learning that some local farmers used glyphosate to ripen grains, Radio-Canada said. The result: a 70% reduction in Canadian wheat imports for six months, from November 2017 to August 2018. Lisa Wood, a forester and assistant professor at the University of Northern B.C., is the author of a study on the impact of aerial spraying of the herbicide glyphosate in the Canadian Journal of Forest Research. Edible and medicinal forest plants that survive aerial spraying of glyphosate can retain the herbicide and related residues for at least a year, a new study has found. a 10-year contract to find fast and cheap ways to dispose of the federal government’s own radioactive waste. The corporations are proposing to build a massive above-ground radioactive waste mound at Chalk River, Ontario; and to convert federal nuclear reactors in Rolphton, Ontario and Pinawa, Manitoba into concrete tombs. Citizens have a legitimate expectation that Canada will live up to its international obligations and Commitments, and that scientists will be free to carry out and repot on research without being impeded. This petition is submitted under the “outline how international environmental commitments are being met”. The world's foremost racial discrimination committee says Canada must work with Indigenous communities to find an alternative to the $10.7 billion hydro project in B.C. https://thenarwhal.ca/united-nations-instructs-canada-to-suspend-site-c-dam-construction-over-indigenous-rights-violations/In a rare rebuke, the United Nations has instructed Canada to suspend construction of the Site C dam on B.C.’s Peace River until the project obtains the “free, prior and informed consent” of Indigenous peoples. Canada has until April 8 to report back to the UN Committee on the Elimination of Racial Discrimination outlining steps it has taken to halt construction of the hydro project, which would flood 128 kilometres of the Peace River and its tributaries in the heart of Treaty 8 traditional territory. The unusual request from one of the world’s top human rights bodies was made by committee chair Noureddine Amir in a December 14 letter to Canada’s UN Ambassador Rosemary McCarney. It comes as Canada vies for a coveted seat on the UN Security Council and two Treaty 8 First Nations await a court date to determine if the Site C project unjustifiably infringes on their constitutionally protected treaty rights, as they claim in civil actions filed last January. “The Committee is concerned about the alleged lack of measures taken to ensure the right to consultation and free, prior and informed consent with regard to the Site C dam, considering its impact on indigenous peoples’ control and use of their lands and natural resources,” wrote Amir, an Algerian law professor and former diplomat. Canada missed an August 2018 deadline to report back to the committee on the Site C project, which was approved by the federal government in 2014 and green-lighted by B.C.’s new NDP government in December 2017.